A Wink & A Gun: Quarters, nickels, dimes, pennies for everyone! Quarters, nickels, dimes, pennies for everyone! Does anybody else struggle with giving exact change? The moment I go for those little coins my wallet shrinks to Barbie size, and my fingers grow as fat and uncoordinated as a baby's. I find myself apologizing, my hands are shaking, and I’m pretty sure the little old lady behind me is getting annoyed. Thing is, exact change gets no respect. I know, because I was born to a coin disrespector. 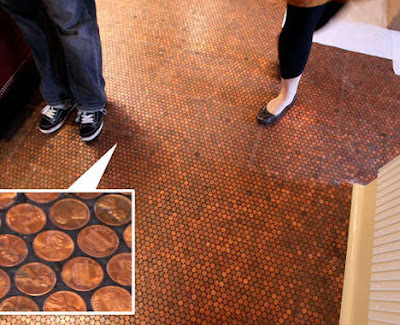 A floor covered in perfectly good money. Disrespect! My father hates coins. Specifically pennies. I have witnessed, on more than one occasion, this man throw pennies from a moving vehicle. Pennies shooting out a car window at 60 mph ya'll! He’s probably thrown away $100 in his lifetime. Rude. My love for change started as a savvy young teen. It's back to school time, I've got no job, but a craving for all the high fashion Delia's can offer. This, right here, was a conundrum. Ever the businesswoman, I spotted pools of money just laying around the house, big buckets brimming with potential (and Delia's clothes). So I cut my mom a deal - let me get at that loose change ma. She did me one better - for however much I wrapped, she would match me. 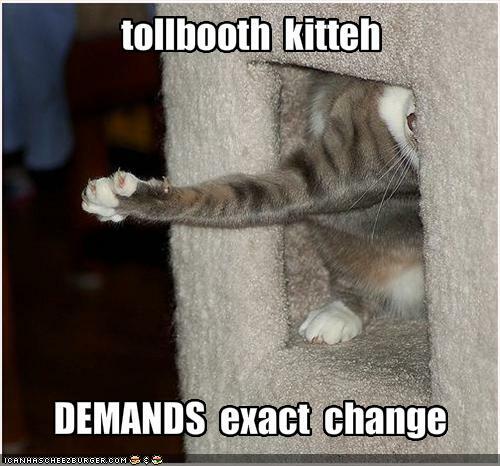 The naive woman thought that I'd lose interest, that I didn't have what it took to wrap all the change in the house. Ha! Don't doubt me lady. I spent that summer on a coin-rolling spree, sometimes using machines, but mostly moving my deft fingers over piles of money, forcing them into little brown paper cylinders. I couldn't be stopped. Nearly $400 in change was laying around my house. The moral of the story - never bet a kid bent on Delia's. 9 things you need to know right now.